Wooden Flying Dutchman Model Pirate Ship Magnet 4"
Wooden Santa Maria Tall Model Ship 4"
Wooden USS Constitution Tall Model Ship 4"
Wooden Flying Dutchman Model Pirate Ship 4"
Black Pearl Pirates of the Caribbean Pirate Ship Model Christmas Ornament 4"
Wooden Black Bart's Royal Fortune Model Pirate Ship 7"
Wooden Flying Dutchman Model Pirate Ship 7"
Wooden Caribbean Pirate White Sails Model Pirate Ship 7"
Captain Kidd's Black Falcon 7"
Wooden Black Bart's Royal Fortune White Sails Model Pirate Ship 7"
Wooden Black Pearl White Sails Model Pirate Ship 7"
Wooden HMS Bounty Tall Model Ship 7"
Wooden Calico Jack's The William White Sails Model Pirate Ship 7"
Calico Jack's The William Model Ship in a Glass Bottle 4"
Black Bart's Royal Fortune Model Ship in a Glass Bottle 4"
USS Constitution Limited Tall Model Ship 7"
Blackbeard's Queen Anne's Revenge Limited Model Pirate Ship 7"
Black Pearl Pirate Ship in a Glass Bottle 7"
Ben Franklin's Black Prince Pirate Ship in a Glass Bottle 7"
Henry Avery's Fancy Pirate Ship in a Glass Bottle 7"
Thomas Tew's Amity Pirate Ship in a Glass Bottle 7"
Calico Jack's The William Pirate Ship in a Bottle 7"
Captain Kidd's Adventure Galley Pirate Ship in a Bottle 7"
Ed Low's Rose Pink Pirate Ship in a Glass Bottle 7"
Once in a while throughout history a particular ship will transcend all others, achieving immortality in the annals of sailing lore. Handcrafted Model Ships is proud to offer you these amazing Famous Ships, from Noah’s Ark to the mighty USS Constitution or the dreaded Black Prince, all crafted into museum quality replicas that are as fascinating as they are magnificent. You don’t need to be an expert in nautical history to know the names of these ships. Their exploits and legends have made them household names. They are joined by many others, from currently-active and well-known modern vessels to the fictional stars of movies and television to even fantastic ships which sail the seas of imagination. Famous ship models offer a unique item for display that not only celebrates a personal interest and connection to a particular boat, but is instantly recognizable to friends and guests. They are excellent conversation pieces but all feature exquisite craftsmanship worth of attention and praise in its own right. Our Famous Ships collection includes a wide variety of sizes and types, designed specifically to offer something for everyone. Fans of books, film and television will love readily-identified models such as the Dawn Treader, African Queen or Andrea Gail. History buffs will be delighted with the USS Monitor and CSS Virginia Civil War replicas, Black Beard’s flagship the Queen Anne’s Revenge or the Black Prince which sailed with Letters of Marque issued personally by Benjamin Franklin. Romantics can embrace the luxurious grandeur of the RMS Titanic or Queen Mary while our Noah’s Ark model is a biblical inspiration for the entire family. 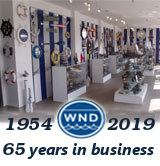 At Handcrafted Model Ships we are proud to offer over two dozen model boats with famous names that are instantly recognizable to the average person. Many of these ships are real vessels, both modern and historical, that can still be seen or even toured today, and painstaking attention has been devoted to the accuracy of our models. We offer many of our historical ships in both a fine-crafted and highly-detailed Standard version as well as certified Limited Edition museum-quality replicas. Well-known modern vessels from current reality television series such as Whale Wars or Deadliest Catch are available individually or in sets, as are historical tall ship models such as the Nina, Pinta and Santa Maria led by Christopher Columbus on his discovery of the New World. Rounding out our collection of famous boats are stars of film and television, from the Jenny sailed by Forest Gump to the S.S. Minnow marooned on Gilligan’s Island or the Orca that hunted Jaws. Many of our Famous Ships are offered in convenient sizes of 11” to 20” that are ideal for a child or fan to set on a shelf or desk, and priced to make excellent gifts for friends, family, co-workers or even yourself. Larger models of 24” to 32” include detailed tall ship models and cruise ship models that are worthy of display upon their own shelf or table, but still of a moderate size that rests perfectly on any desk and remain priced affordably for individuals and families to enjoy. Larger models of 36” up to 50” are grand masterpieces of exquisite craftsmanship that serves as the highlight of a room or centerpiece of a collection of nautical artifacts or memorabilia, appealing to true collectors and aficionados who demand the finest quality. The Famous Ships offered by Handcrafted Model Ship cover a great variety of categories, from historical tall ships models celebrating American and British heritage and patriotism to icons of modern popular culture to timeless classics of cinema and screen to beloved and inspirational vessels from biblical and family literature. Both the USS Constitution and the HMS Victory have become patriotic icons of the naval heritage of their nations. The United States Navy’s USS Constitution continues to sail and offer tours today as the oldest commissioned warship still afloat and operational, while the HMS Victory of Her Majesty’s Royal Navy celebrates her victory at the Battle of Trafalgar by offering tourists a chance to visit the world’s oldest commissioned warship in her dry dock as a permanent museum ship. The Santa Maria earned her fame as the flagship of Christopher Columbus on his journey of discovery to the New World in the year 1492, while the Mayflower later transported the Pilgrim settlers to New England where they founded the Plymouth Colony 1620 to become the second successful British colony in the Americas. Though neither ship still exists today, several accurate full-scale replicas have been constructed in the centuries since and some have repeated the historical journeys of their namesakes. Rounding out the tall ship models are the pirates and privateers. Available in two sizes with either black or white sails, the Caribbean Pirate ship models celebrate the Golden Age of Piracy during the Age of Sail, when both gentleman adventurers and bloodthirsty cutthroats plied the shipping lanes of the East and West Indies treasure and spice trades. Among the most famous was the pirate captain named Edward Teach but better known as “Blackbeard”, who led a fleet of pirate raiders from his flagship Queen Anne’s Revenge. But not all raiders were illegal. Early in the American Revolutionary War, the Continental Congress found itself without an operational navy able to disrupt British shipping and re-supply of the British Army “redcoats” in the American Colonies. At the urging of Benjamin Franklin, the Congress approved the issuance of Letters of Marque allowing privateers to raid British ships, and the first ship chosen by Franklin (and according to his correspondence a personal favorite) to receive such a commission was the black-painted and stealthy Black Prince. As a period of great technological transitions and advances in nautical design and naval warfare, the American Civil War began the turning point from the Age of Sail to the Steamship era and produced the first ironclad warships. The most famous, iconic and influential of the period were the USS Monitor and the CSS Virginia. Though both were lost at sea after only a short career, they are forever entwined as the participants in history’s first combat between ironclads, a duel which they fought for hours to a stalemate. With the Industrial Age in full bloom and the era of the Steamship having arrived, trans-Atlantic travel need no longer be the dangerous and uncomfortable journey it had been for the Pilgrims. Instead, travelers were able to cruise in comfort, luxury and even opulence aboard magnificent ocean liners. The RMS Queen Mary was among these great cruise ships of the early 20th century, serving the public not only as a passenger liner for over 30 years but also her country as a British troop ship during World War II. Docked in Long Beach harbor, she remains open as a museum ship and floating hotel. But no ocean liner is more renowned, beloved and ill-fated than the RMS Titanic. The largest and most opulent of her day, the RMS Titanic famously struck an iceberg on her maiden voyage and was lost at sea with the majority of her passengers and crew. This tragedy locked Titanic forever in the public consciousness, with interest in the mighty ocean liner re-ignited by the discovery of her wreckage in 1985 and heightened in 1997 by the eponymous Academy Award winning film by James Cameron starring Leonardo DiCaprio and Kate Winslet that went on to become the biggest box-office success of all time. Other Famous Ships have been both historical as well as stars of literature or the screen as well. Several ships named HMS Surprise have served in the Royal Navy throughout the centuries, but it was the 1796 British warship of the Napoleonic era chosen by author Patrick O’Brian to serve as the command of Captain “Lucky Jack” in his famous Aubrey-Maturin series of novel. Long a favorite of nautical enthusiasts, the series was opened to a wider audience with the film Master and Commander: The Far Side of the World, starring Russell Crowe. This film made the HMS Surprise a star in its own right, and the replica used in the movie is now on permanent display at the San Diego Maritime Museum. Not just mighty ocean liners and grand tall ships can become stars of film and television, however. Hard-working ships earn that status as well, including the historical fishing boat Andrea Gail, lost at sea in The Perfect Storm (the movie starring George Clooney and Mark Wahlberg). Fictional vessels such as the shrimp boat Jenny from Forest Gump (starring Tom Hanks) or the shark hunter Orca from Jaws (starring Roy Scheider and Richard Dreyfuss) are equally memorable, but perhaps the most humble is the little steamer African Queen (starring Humphrey Bogart and Katharine Hepburn) while the most humorous the poor S.S. Minnow, forever shipwrecked during her weekly “three-hour tour” on TV sitcom Gillian’s Island. Contemporary television has blurred the lines between reality, documentary and entertainment, turning real-life and currently-operational boats into stars. Alaskan fishing boats and crab boats (along with their brave captains and crews) are the stars of shows such as Deadliest Catch, and include show-favorites the Cornelia Marie, the Wizard, North Western and Time Bandit. Meanwhile, the fleet of Whale Wars leads an inspirational fight to interdict and disrupt illegal fishing and whaling activities with their ships the Steve Irwin and Bob Barker. Literature has inspired readers, dreamers and believers for millennia. Biblical accounts of the Great Flood and the salvation of Noah and his family along with two of every kind of animal on earth aboard Noah’s Ark is a story of faith and inspiration in the holy books of Jews, Christians and Muslims alike. In modern times, beloved author C.S. Lewis has written the fantastic sailing ship Dawn Treader and its captain Prince Caspian (later King Caspian) into his Chronicles of Narnia allegorical series of children’s novels. Sometimes, even reality can be fantastic, as seen in the lines of the Ferrari Hydroplane racer. Not only is Handcrafted Model Ships delighted to offer exceptional speed boat models of Ferrari, Riva, Chris Craft and other lines of racing boats and power boats, but many are available as RC conversions that speed across real waves.